In our previous posts (starting with this one), we have proposed an alternative method of voting on multi-member courts. Broadly speaking, we would replace “one-judge, one-vote” with a method of “bayesian voting” in which judges would rate the legal arguments of the parties by disclosing their degrees of belief in the merits of those arguments. This method of voting goes by various names: range voting (Warren Smith), utilitarian voting (Claude Hillinger), score voting (Patrick Lundh), point voting (Hylland-Zeckhauser), and cardinal voting, just to name a few variants. We, however, prefer the term “bayesian voting” because we wish to emphasize the probabilistic and subjective nature of law in hard cases. Also, the label “bayesian voting” highlights a direct relation between our method of voting and the influential ideas about subjective probability developed by Frank P. Ramsey and Bruno de Finetti (pictured below). 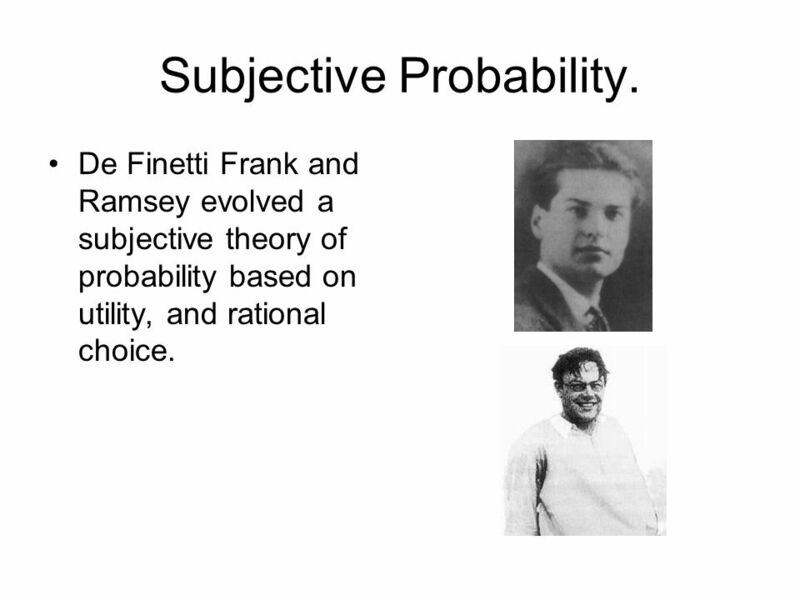 In brief, Ramsey and de Finetti were the first to propose a subjective definition of probability, now referred to as “Bayesian probability.” According to this Bayesian view, probability is not a property of the real world. Instead, probability is the subjective expression of your personal view of the world. Specifically, a statement’s probability is just a particular individual’s degree of belief in that statement. On this subjective view of probability, even if two people’s judgments about the probability of a statement or hypothesis are vastly different at time t1, after evidence for (or against) the statement/hypothesis comes in at time t2, rational people should then revise their degrees of beliefs. Moreover, their degrees of belief will tend to converge to the same probability as more and more evidence comes in. And isn’t this subjective convergence toward truth a good description of how the common law is supposed to work? Interesting. I have never liked the phrase “subjective probability,” because it is so easily misunderstood. I prefer the formulation “degree of belief” and I describe Bayesianism as a set of normative procedures for adjusting your degree of belief in response to evidence.